This section includes relevant information regarding end of KS2 results for the school year 2016-2017. 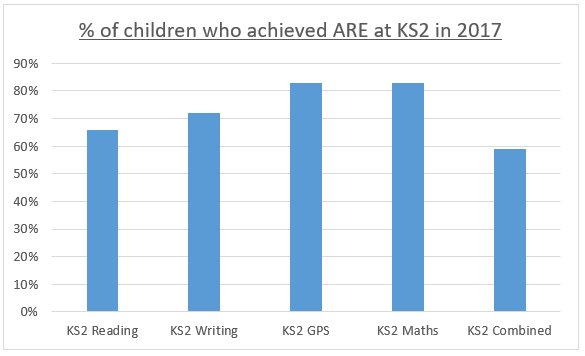 This graph shows the percentage of children who achieved ARE in each of the core subjects and the percentage of children who achieved ARE in all four core subjects. 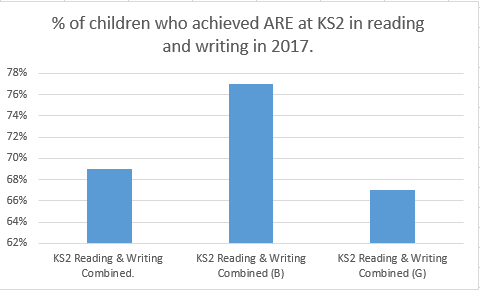 This graph shows the percentage of children who achieved ARE in both reading and writing combined for the year as a whole and boys and girls specifically. 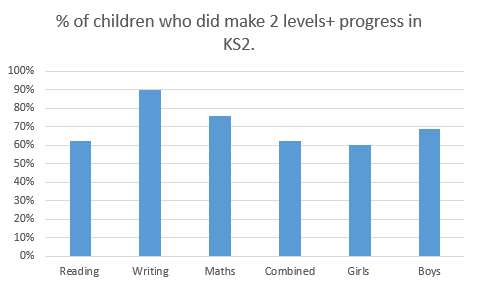 This graph shows the percentage of children who made at least 2 levels of progress in KS2 across the core subjects, combined and with boys and girls specifically.